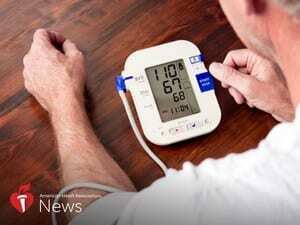 WEDNESDAY, Feb. 6, 2019 (American Heart Association News) — Experts already know there’s a link between high blood pressure and stroke, but a growing body of research suggests yo-yoing blood pressure also might play a role. A new study, presented this week at the American Stroke Association’s International Stroke Conference in Honolulu, delved deeper into the topic by researching whether increased blood pressure variability after a stroke is associated with risk of death. Researchers looked at data from 1,947 patients who had four to five blood pressure readings in the 24 hours after a stroke. After adjusting for various factors, they found that patients with more variation in their systolic blood pressure, the top number in the measurement, had a higher risk of death within 90 days. Dr. Adam de Havenon, the study’s lead author, said the results reinforce the importance of blood pressure variability as a risk factor for poor outcomes after a stroke. “It’s a fertile topic that’s gaining attention, and I would argue that we need to pay even more attention to it,” said de Havenon, an assistant professor of neurology at the University of Utah School of Medicine in Salt Lake City. De Havenon said blood pressure variability in stroke patients might be easily treated with calcium channel blockers a blood pressure drug that decreases variability instead of using beta-blockers, which increase variability. He said he asks some of his patients to measure and record their blood pressure at home at various times during the day. He called for future studies on the best way to identify patients with variability and the best pharmacological protocols to treat it. However, he said until clinical trials are done on the topic, questions remain. “It’s premature to say that people should be prescribed certain medications specifically for blood pressure variability. The jury’s still out for that,” said Muntner, who was not involved in the research. “The other interesting question is, is it blood pressure variability itself that increases the risk, or is it some other underlying condition, like high levels of inflammation or stiff arteries, which could also cause large fluctuations in blood pressure?” he said. When it comes to blood pressure variability, Muntner said electronic health records and outpatient self-testing will make life easier for patients and doctors alike.